is a new international peer-reviewed journal published in collaboration with the Nida School of Translation Studies. Recent developments in our contemporary world (globalization, interculturalism, global and transcultural communication through the web) pose a challenge to every traditional concept of translation. Today, translation has to be considered as a transformative representation of, in, and among cultures and is poised to become a powerful epistemological instrument for reading and assessing cultural exchange. 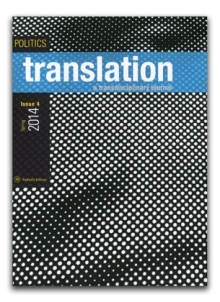 We imagine a new era that could be termed Posttranslation Studies, an era of fundamental transdisciplinarity. translation invites new thinking about what translation is today, about where translation occurs, and about how we can find new words to speak about translation.